Courtesy Ginger Tolman | Quinn Neuhauser and Chloe Tolman, celebrating Chole's graduation from University College London. I raised two children without benefit of a partner, or benefit of much income. Park City School District K-12. This alone was a leg-up. Plus we’re extremely white, so the math is ever in our favor. Still, my daughter’s dream of UCLA was daunting. Pre-dawn labs. Lunch breaks spent in class. Stolen studies working in a T-shirt shop until 11 p.m. No time for much extra-curricular anything. Still, there was an occasional Pirate Party, in sync with the occasional brush with the law. We didn’t have a path to pay for college, just promises I made. Fingers crossed. She graduated with a high GPA, a modest scholarship, letters from AP teachers, the mayor and the chief of police, and a few checks. Accepted to good universities. Not accepted to UCLA. Someday science will prove the genetic gene of stubbornness. She moved to LA, found an apartment in Venice, affordable by working two jobs. Using her scholarship for first, last and endless ramen, she enrolled in Santa Monica College. Fittingly, the school mascot was a Pirate. She excelled. SMC delivered. Spending spring breaks in the field, working archeological digs in Belizean jungles, and Peruvian highlands. She swung machetes and listened for jaguar rumblings. She dodged deadly Fer De Lances. She did not dodge becoming a #metoo initiate. In Peru, she learned of maca and coca as elderly women pushed leaves into her mouth for energy. She published while in community college and UCLA opened its doors. She graduated from UCLA on a hot June day with a bachelor’s degree in anthropology. Jessica Jackley, CEO of KIVA, spoke. I remember nothing. I sat in silence. And cried. A first-generation college graduate. From a single-parent home with income barriers. She used my name when she walked across the stage. 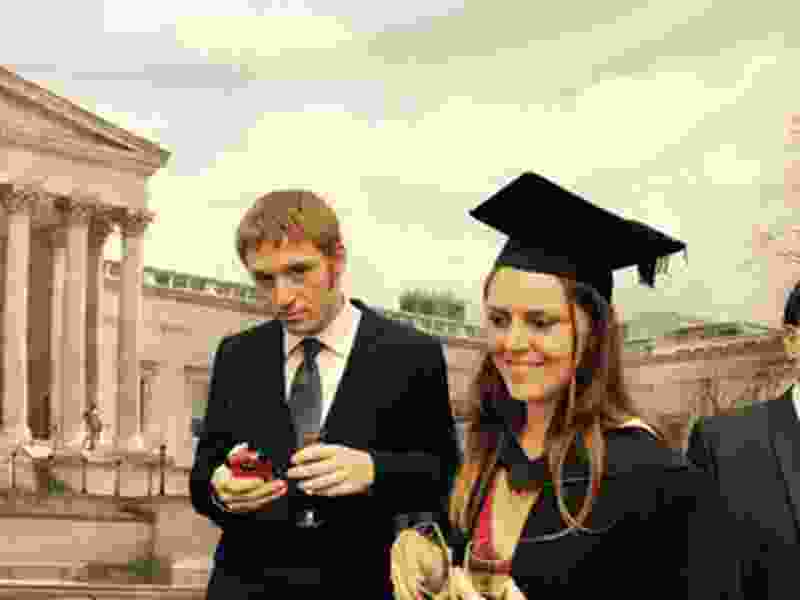 Her hoped-for master’s program — skeletal-dental bioarchaeology, tracking disease and migration through human remains — was best served at University College London. UCL ranks fourth in the world. Crick, Attenborough, Gandhi, had all walked those halls. Eight spots were available. She threaded the needle on the first try. She found employment, sorted London transit, high rents, intensive schooling and a bad relationship. Once, when I was visiting her, she met me at the train station, her coat cuff frayed, buttons missing, hair askew, the sole of one boot flapping a bit as we walked, and beautifully vivid alive blue eyes. If she could sneak me into the lab, would I like to hold the skull of a 900-year-old medieval British woman? Yes, I would. Cradling that skull, I cried. Again. The graduation party was held in a glass atrium adjacent to the college. Rows of sparkling flutes filled with champagne (French) and Pimm’s (British), long vases of irises and lilies. Horrible canapes. Leaves and rain gently falling on the glass roof. My son looking the young James Bond, in a borrowed suit, a glass of champaign, in awe of his sister. My own sister and I clutched arms like clutching pearls. Bewildered at this rarefied moment. If I’d had the means to hack Chloe’s dream, would I have? I hope not. Beating the odds — that’s a triumph we’re lucky if we feel even once. A parent cheating for their child, cheats us from what that child might become. Leapfrogging over those ready, willing and digging out change from the couch cushions to somehow, against all odds, make it work. I get it. Chatting up Pilates Mom in the fancy cheese aisle, it’s gratifying watching eyes widen in response to Chloe’s success. I am not immune to the gloat. The headlines of parents cheating for their child’s entry into college hurts, and they should be held accountable. However. I fully believe our community shares the guilt. We create, support and uphold a culture that defines success for young adults in narrow terms. As a community can we champion a different game? The playing field was never level, so can we knock down the goalpost and champion the choices of our children? Applaud the student who decides community college is a good fit. Taking time off to think about it, also OK.
Move out of state, get a feel for living amongst the unfamiliar. Stay at home and take a job at a construction site, or restaurant, understand your community. Travel. Be a plumber, join a union, have a pension. That’s winning by the way. That learning how to be a plumber is a great decision. Be a chef, a locksmith, a college student, a wanderer. Not knowing, is a fully acceptable state of being. If you’re lucky, you’ll stand in a glass atrium, rain falling, glass filled with Pimm’s, so proud and grateful you can’t breathe. Because you know she earned every moment of it herself. If you’re lucky, you’ll watch your son walk off a ferry from his day job, while he sorts how to take full aim at his dreams. He takes free classes at City College. He will buy me a beer and we’ll talk about what’s next. 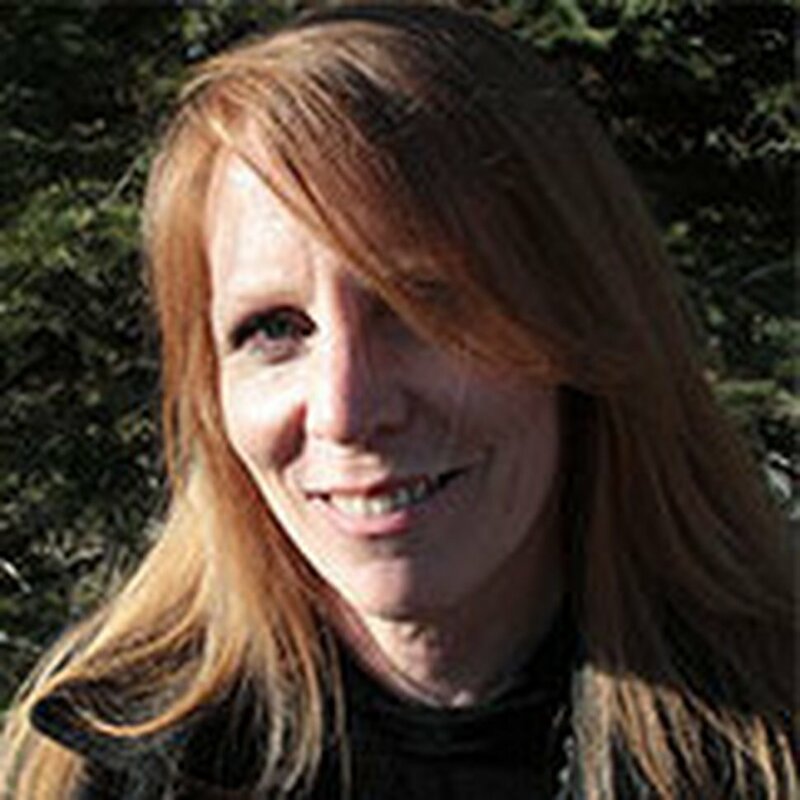 Ginger Tolman is the regional director of community partnerships and education for Utah NonProfit Housing Corporation in Salt Lake City. She is also a freelance writer, documentary film producer and cooking activist. Her children, Chloe and Quinn, continue to figure things out.